Today we take you to the famous Chinese manufacturer Innokin to discover a new podmod: The Z Biip System. Want to know more about this novelty? Well, let's go for a complete presentation of the beast! Z BIIP POD SYSTEM: A NEW PODMOD WITH SOUND INDICATORS! For many years, the giant Innokin has been trying to innovate by working with big names in the vape to offer ever more efficient products. The product that we present to you today is a new innovative creation fruit of a collaboration between Phil Busardo, Dimitris Agrafiotis and Innokin: The Z Biip Pod System. 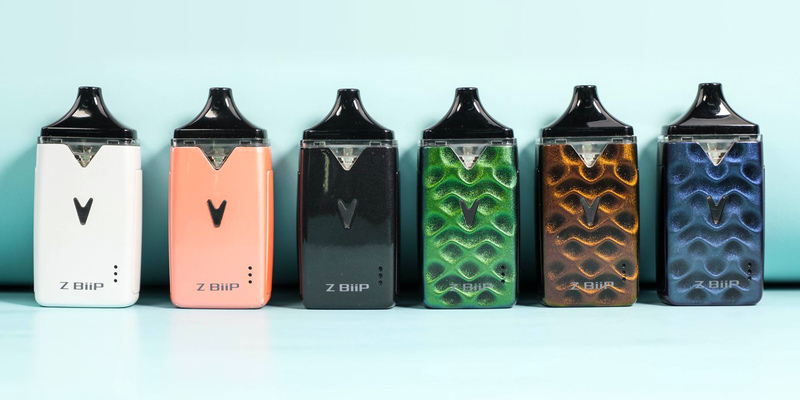 Entirely made of zinc alloy and polycarbonate, the Z Biip is a compact, original and innovative rechargeable podmod that will hold perfectly in your hand. Available in addition to 6 different colors, its pleasant, discreet and intuitive design will undoubtedly appeal to many vapers. On the facade there will be a switch, an indicator of autonomy led and a micro-usb socket for recharging. 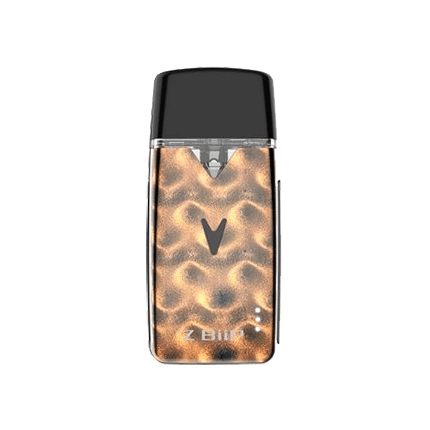 Equipped with an internal 1500mAh battery (the most powerful on the market on a podmod), the Z Biip Pod impresses with its intelligence. Indeed, we will find a unique sound system on this product (for fixing the pods, battery levels and the completion of the charge), allowing the user not only to see the information, but also to hear it , which makes it interesting for people with visual or hearing impairments. Unlike many podmods available on the market, Innokin's new baby features an easy-to-activate side switch and adjustable air-flow system. 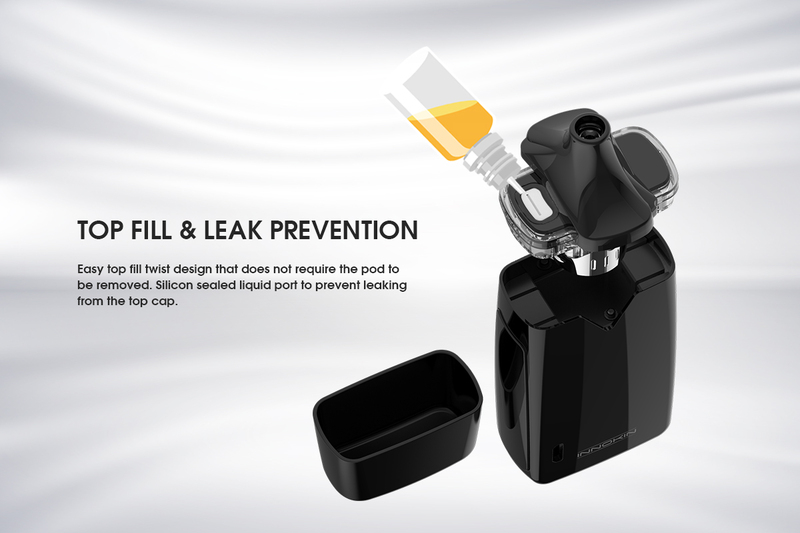 Spray side, there will be a rechargeable pod with a capacity of 2 ml that will recharge in a simple way by turning the drip-tip to reveal the filling lid. The Z Biip Pod System will work equally well with PLEX3D 0.48 Ohm resistors as well as with all the resistors of the Zenith range. Although the Z Biip Pod System works perfectly with e-liquids with nicotine salts, it will also work with conventional e-liquids. 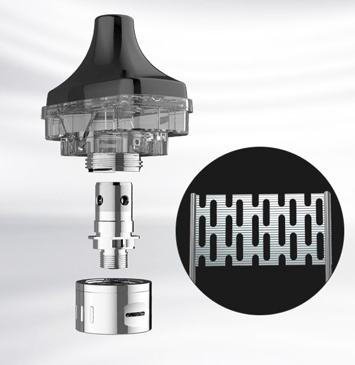 The new podmod Z Biip Pod System »Par Innokin will be available soon for 50 euros about. Previous: ECONOMY: WHO demands compliance with the ban on tobacco advertising in sport. Following : VAP'NEWS: The e-cigarette news of the 16 Weekend and 17 Mars 2019.